The rise of “tiny houses” have increased over the years which intrigues people to build simple, affordable tiny houses. If you however live in a colder part of the world and need to heat up your space, then radiant heating should be considered for your tiny house. Why Electric Radiant Heating System? Some of the benefits of using electric radiant heat instead of wood, propane and off-grid heaters are:. 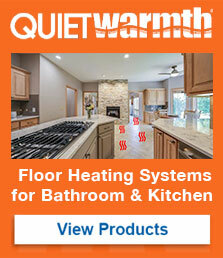 No Visible Heating System – Thinner than a credit card, the QuietWarmth system can be installed under the floor. No mortar is needed for laminate and floating floors. Cost Less To Heat – Using only a small amperage, electricity is used to allow the height to rise up from the floor up. Since heat rises, there is no cold air captured at the bottom. Indoor Air Quality – Allows healthier atmosphere and doesn’t circulate dust or air pollutants. Silent Operation & Maintenance Free – Since there is no moving parts to the system. Fits Any Space – Cuttable to length and widths of 18″ and 36″ – these mats can fit in any tight space. 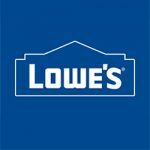 Simple Installation – Most DIY’ers can install this system by using our installation instructions and watching our YouTube video installations. 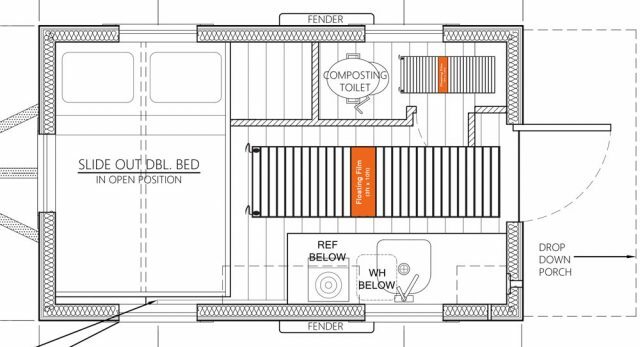 Would the radiant heating film work in an RV/motorhome?